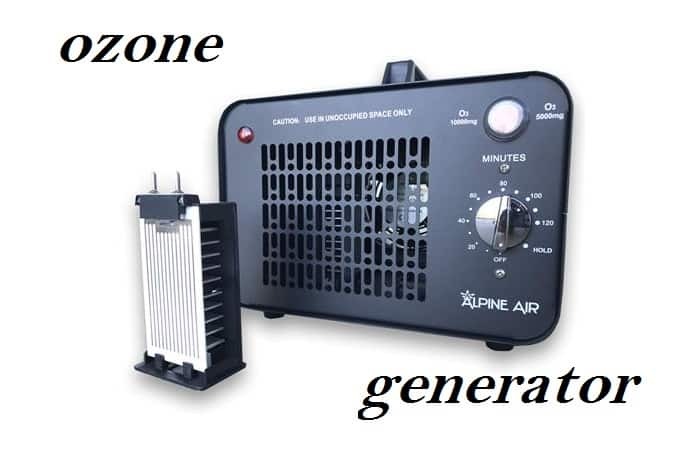 If you’re looking for the correct answer on how long to run ozone generator, then you’ve definitely come to the right place. When it comes to having a safe and healthy home, there’s really nothing more effective than an ozone generator. If you’re looking for a way to destroy any and all bacteria in your home, this is probably the best way to do it. These machines are designed to act as some of the strongest air purifiers in the world so that you can feel safe and sound at every possible moment. However, while many people enjoy their purifying features, the main reason why they’ve become so popular in recent years is due to their ability to easily remove unwanted odors from your home. Have a neighbor that just won’t quit smoking? These generators can take care of that cigarette smell. Or, perhaps, you’ve recently bought a home and have come to find that there’s this constant moldy smell coming from somewhere that you just can’t pinpoint. Again, these little machines are the perfect solution. They will be able to give you a clean and fresh smelling home every time you walk through the front door. Ozone is when a standard oxygen particle adds a third oxygen molecule to become O3 instead of O2. While this may seem simple enough, this slight change can actually have a profound effect on living things, including ourselves and our families. However, this also means that when ozone is pumped around a space it will be able to easily latch onto the things it comes into contact with including molds, bacterias, and odor-causing properties and kill them. This incredible characteristic makes it so that homeowners will be able to feel comfortable and safe in their own homes on a daily basis, but are these machines themselves actually safe for us to use? With the proper care and utilization, these generators are completely safe to have in the home. While ozone could have an effect on your own, personal chemical properties, the reality is that the ozone produced in your home will eventually run out of energy and fade away. What will happen is that the molecule itself will weaken over time, and the third molecule will run out of steam and break off, leaving behind a standard oxygen molecule which is completely safe for people to breathe. But, it’s still important to remember that ozone itself can have a pretty strong impact on the organs in your body, particularly if you suffer from conditions such as asthma or any other lung diseases. What you really need to do is make sure you find an ozone generator that you can trust. When it comes to finding a developer to purchase from, taking reputation and reviews into consideration will be extremely helpful. You need to make sure you look for a team that cares deeply about their safety features and that will guarantee that the ozone produced in your home will be kept at respectable levels. Take a good look at what past clients are saying about the generators they purchased so that you can be sure you’re getting yourself involved in something that you’ll really love for years to come. However, at the end of the day, the real determining factor in the safety of these generators will be your own personal health and that of your family members. If you or someone you love is already suffering from a difficult disease such as chronic bronchitis or emphysema, then perhaps these machines aren’t the best things to bring into your home. However, for families that aren’t worried about breathing issues, these generators are completely safe to use and may even help improve the overall health of your family. Once you’ve purchased an ozone generator, you may be wondering exactly how to use it to see the best results. Well, the first thing you’ll need to do is determine exactly what it is you’re trying to use it for. Is there a particular area in the home that just has a strange odor you can’t seem to make go away? Or, maybe, you’re a doctor who wants to make sure you don’t bring in any bacterias with you from the hospital or office when you walk into your own home. Whatever your reasons, being able to identify your own needs can really help you narrow down where you need to make use of this generator and for how long. Once you decide where you’re going to use your generator, it’s time to make sure that the room is completely sealed off so that the ozone doesn’t leak into other parts of the home. This will mean closing off vents, placing a towel or tape around the bottom and sides of the doors, and also removing any pets or plants from the space ahead of time. You need to remember that this chemical can have an effect on all living things, and so everything that is considered “alive” needs to be taken out and placed in a safe area before the machine is turned on. If you’re considering really making the most out of this little machine and putting it to good work throughout the home, you’ll need to consider taking a mini-vacation for a day or two. Visit some nearby family or friends or even take out a weekend room at a local hotel. No matter where you choose to go, you need to make sure that you’re not around while the ozone is dissipating for your own health and safety. To keep yourself, your loved ones, and your home safe, you need to make sure you follow the specific guidelines regarding your ozone generator. Generally speaking, these machines should be allowed to run in a given space for approximately three to six hours. This is because this is the ideal amount of time for the ozone to make a proper impact on the properties around them without making it more difficult for the molecules themselves to vanish. However, if you’re looking to go through your entire home, this could easily take up an entire day or more. You need to remember that the amount of time is related to the quality and safety of the air in your home, not the machine itself. If you have a large home that you’re looking to tackle in one go, you’re more than welcome to as long as you follow the safety procedures laid down in the manual. For many homeowners, the doubt regarding time will come from having to enter into the space after leaving the generator running for some time to turn it off. Luckily, the majority of modern ozone generators come with a built-in timer, which will actually end up being your new best friend. When you set your time to the specific three hours that you want it to run, you can rest assured knowing that your generator will automatically shut off once the time is up, making it possible for you to avoid entering the space to keep the machine from overworking itself. These little timers are a great way to ensure you’re using the generator safely and according to the manufacturer’s guidelines. Once these generators have done their job, you still need to wait a sufficient amount of time before you enter into the space you used it in. Generally speaking, ozone takes between two and three hours to break apart and become oxygen once again which will make it safe to enter into the room and breathe the air. It’s important to remember that if, for any reason, your generator is still on when you walk into a space that you shouldn’t breathe the air at all. It can cause serious issues with your lungs, your throat, or even cause you to have a headache. The best thing you can do at that point is cover your nose and mouth, run into the room to manually turn off the machine, and then wait another two to three hours before you head back in. As a homeowner, you want nothing more than to make sure that your home is always feeling and even smelling as fresh and clean as possible. When it comes to creating that perfect atmosphere, there’s really nothing more effective than a quality ozone generator. These machines have been developed with safety and security in mind to guarantee that homes are kept in the best possible condition for years to come. However, understanding exactly what you’ll be doing and how these machines should be handled can make a world of difference. You need to make sure you follow the guidelines developed by the manufacturers, as well as keeping anything living as far away from it as possible. Keep this information in mind and make the most out of your generator today.